Bernard Ovoke trying to be a Tunisian opponent. 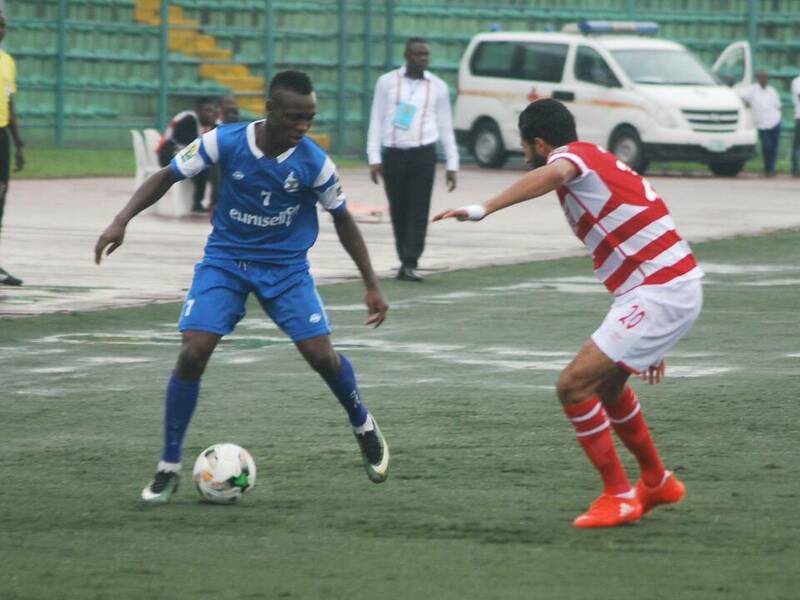 Ovoke and his teammates are back in the NPFL to face MFM. After exiting the CAF Confederation Cup, Rivers United turn attention to domestic league with a rescheduled match against MFM in the Nigeria Professional Football League (NPFL). It is an opportunity for the team to redeem their image as they resume domestic campaign after returning from Morocco. Truth be told, Rivers have struggled in the NPFL and now have time to face the domestic competition away from the distraction of continental assignment. However, it promises to be difficult considering the position of their visitors. 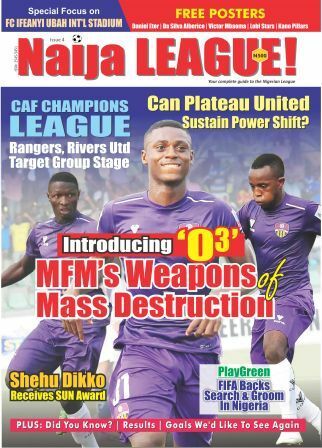 MFM have league top scorer, Stephen Odey and the impressive duo of Sikiru Olatunbosun and Chukwuka Onuwa to deal with. Aside from the trio, the team is difficult to contend with when at their peak. Interestingly, fans of Rivers United will be familiar with Jonathan Zikiye, who returns to face some of former teammates at defunct Dolphins. Rivers United gaffer, Stanly Eguma, has to restore confidence in the team with Wednesday’s match. Abiodun Akande’s performance at FUS Rabat clearly makes him candidate for the goalkeeper’s role as Eguma expects the trio of Bolaji Sarkin, Ayo Saka and Bernard Ovoke to raise their game.